Fubar4 DACs/Headphone AMP audio amplifier from Firestone Audio Co., Ltd.
Hi-Fi Amplifier > Fubar4 DACs/Headphone AMP > Firestone Audio Co., Ltd.
Fubar 4 is an advanced version of Fubar III which is a USB DAC Headphone Amplifier. Fubar 4 combines Fubar II USB DAC with Cute Curve Headphone Amplifier into one tiny unit. Using the Universal Serial Bus you can simply plug and play without installing any drivers (with Linux, Mac OS or PC Windows system). Adopting two DAC chips can separate the digital signals to decrease the effects of sharing the analogy signals in order to make you enjoy the natural and clear sound. 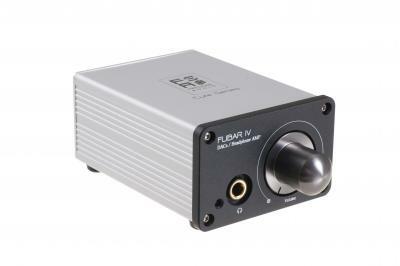 Fubar4 DACs/Headphone AMP > Firestone Audio Co., Ltd.